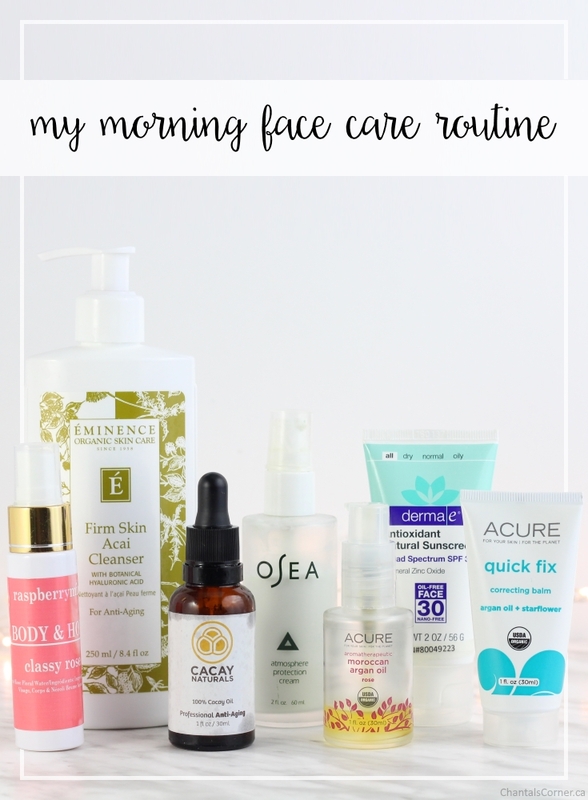 A little over a week ago I shared my Evening Face Care Routine and today I will share with you the products that I use in the morning. There will be some repeats, but about half of my products are different. I’ve reviewed this product before, but I’ve since finished that bottle and purchased a new one. Ubiquinone (Coenzyme Q10) – A coenzyme that is ubiquitous in the bodies of most animals. I’ve come to the realisation that I don’t like foaming cleansers in the morning because I find they strip too many natural oils from my skin. I usually wash my face as the last step of my shower, but I find I have to rush to moisturise because my face always feels tight. About 2 months ago I remembered that I had this cleanser in my stash so I decided to give it a go as my morning cleanser and it’s perfect! 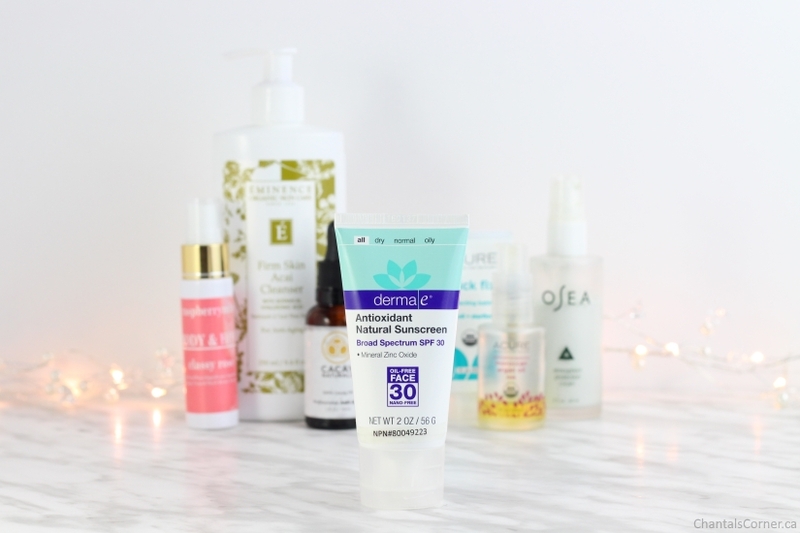 As you’ve seen in my evening routine, I use a lot of moisturisers on my face and while I may wake up with a slightly oily face, I’ve learned to embrace it. 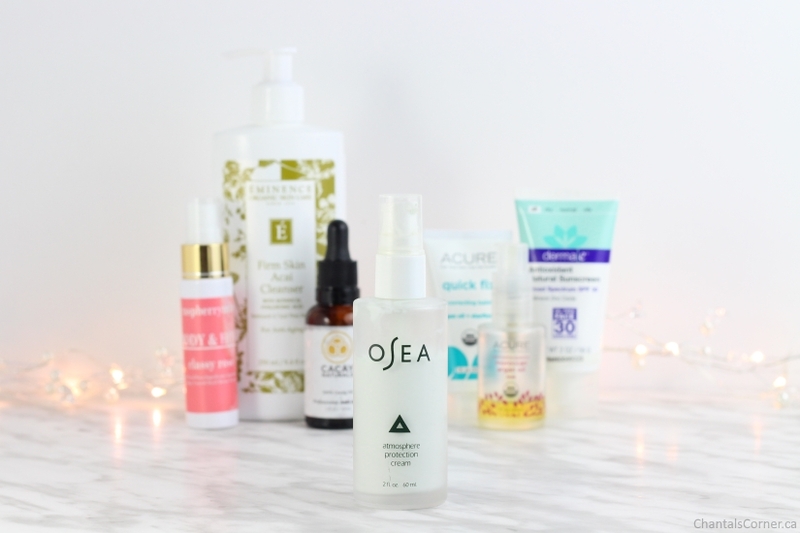 Better to have oily and plump skin than dry and old looking, right? 🙂 So I don’t want my morning cleanser to completely remove all of that moisturising goodness. 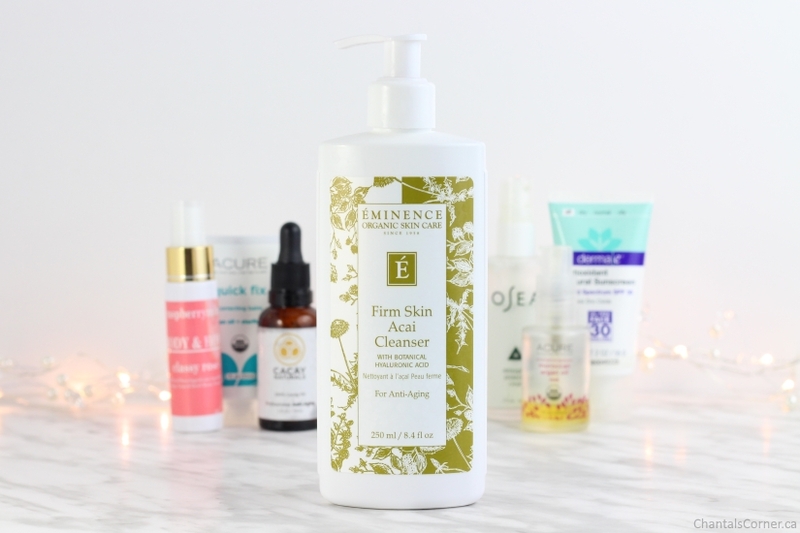 This cleanser from Éminence is perfect at removing the excess oil and leaving just enough so that my face is not screaming for moisture the second I’m done. I won’t repeat everything else I’ve said about this cleanser so if you’re interested you can go read my review. The next few items are repeats from my evening routine so I won’t go in depth about them again. I received this product in my FabFitFun: Summer 2016 Edition and finally started using it earlier this year. This cream has been making my face feel wonderful. It absorbs quickly and leaves it feeling moisturised and soft. I also really enjoy its scent. It smells like a natural product, but not in a grassy/earthy way – it’s light and fresh and really pleasant. This cream retails for $64 CAD. Since there is no sun protection in my moisturiser I finish my morning routine with sunscreen. Derma E Antioxidant Natural Sunscreen SPF 30 Oil-Free Face Lotion helps shield skin from harmful UVA/UVB rays, oxidative damage and premature signs of aging. Zinc Oxide 16% – Unlike chemical sunscreens, zinc forms a physical barrier on the skin, reflecting the sun’s rays rather than absorbing them. Origin: Zinc oxide is found in the Earth’s crust as natural mineral zincite. Capric/Caprylic Triglyceride – A specific fraction of coconut oil fatty acids. Propanediol – Naturally derived, sourced from corn (Zea Mays). It is made by the fermentation of corn sugar. Glycerin – Present in all natural vegetable lipids (fats). Methylcellulose – A chemical compound derived from cellulose. Glyceryl Stearate – A lipid used as surfactant and emulsifying agent. Cetyl Alcohol – A long chain organic alcohol. Sodium Ascorbyl Phosphate (Vitamin C, Stay-C® 50) – A naturally occurring substance that resembles a white powder made of tiny crystals. Potassium Cetyl Phosphate – A potassium salt of a complex mixture of esters of phosphoricacid and cetyl alcohol. Glyceryl Stearate Citrate – A combination of vegetable oils and citric acid. Ethylhexylglycerin – A glyceryl ether used as a weak preservative and skin conditioning agent. Since I use this sunscreen at the end of my routine, my face is already a bit oily from all the products I’ve put on it. So I can’t really say if this sunscreen would leave a greasy residue or not. What I can say is that it doesn’t seem to add any greasiness, but I can’t guarantee that it won’t. I bought this sunscreen on Well.ca for $25.99 CAD. My face has been feeling great during the day, and all the moisturising I do in the morning has not affected my makeup one bit. 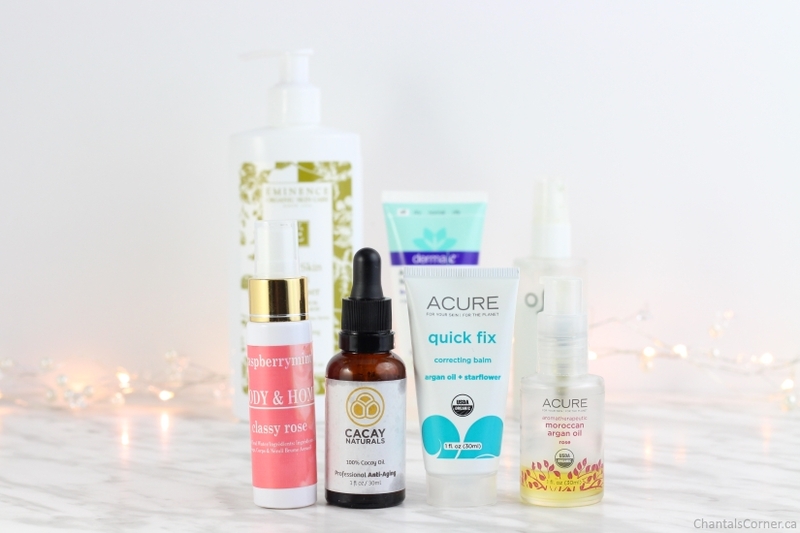 I find that I need to blot later than I used to before I started adding all of these moisturising products into my routine. So, even though I have combination skin and have sought out products to keep me looking matte all my life, my face really benefits from all this moisture. It’s taken me a long time to understand that, but I’m glad I finally have because it’s feeling and looking so much better! 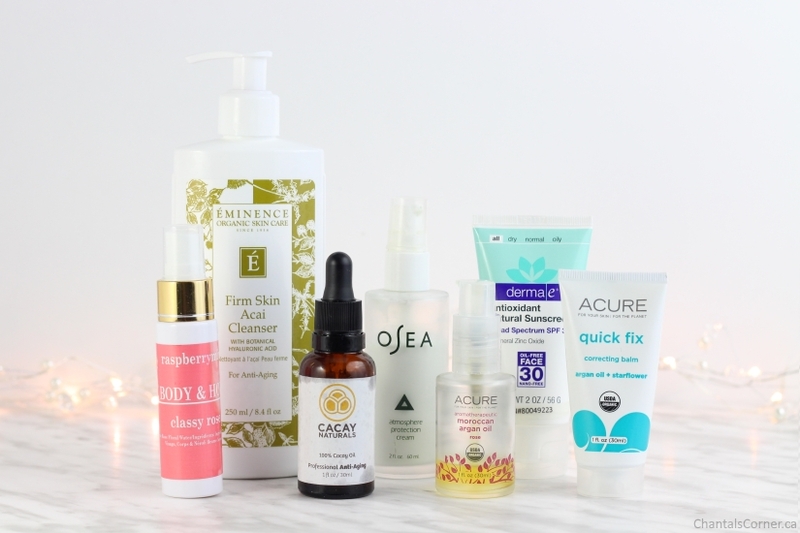 What products do you use for your morning routine?